WASHINGTON D.C. (CelebrityAccess) — An attempt by a U.S. government agency to spark unrest in Cuba through hip hop music appears to have backfired and is drawing ire from congress. 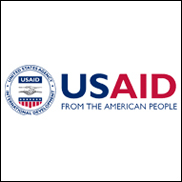 According to the Associated Press, U.S. foreign aid agency USAID has been seeking to use unwitting Cuban rappers “to break the information blockade” and attempt to build a network of young people in the country as a way spark a political movement against the government of Cuban President Raul Castro. In the process of doing so, USAid exposed unwitting musicians to government pressure and according to the AP, Cuban authorities detained or interrogated people affiliated with the USAid operation on at least six different occasions. "The conduct described suggests an alarming lack of concern for the safety of the Cubans involved, and anyone who knows Cuba could predict it would fail," said Senator Patrick Leahy, a Vermont Democrat who is chairman of the State Department and Foreign Operations Appropriations Subcommittee. "USAID never informed Congress about this and should never have been associated with anything so incompetent and reckless. It's just plain stupid." According to documents obtained by the Associated Press, USAID and a contractor, the Washington D.C.-based Creative Associates, paid millions in their efforts to undermine the Cuban government. Their efforts included the creation of a "Cuban Twitter" social network in an effort to recruit young Cubans to participate in events disguised as cultural initiatives but really intended to foster the creation of a social change movement. The program was first overseen by Serbian contractor Rajko Bozic, who, the Associated Press reports, was inspired by protest concerts in 2000 that helped to unseat Serbian president Slobodan Milosevic. Bozic headed public relations for Serbia's EXIT Festival, which evolved from the protest concerts. While in Cuba, Bozic identified Los Aldeanos, a Cuban hip-hop group with a sharp political edge in their music and directed money from Creative Associates through a front company to underwrite a television program about Los Aldaeanos, which would be distributed by DVD to avoid censorship by Cuban officials, the Associated Press said. Creative Associates also pushed for Los Aldeanos to participate in a 2009 concert in Havana, staged by Colombian rock star Juanes, with the idea that the publicity might help to shield the group from state pressure. While the deal fell through, Jaunes was publicly photographed with the Los Aldeanos following the concert. The plan did not work however, and a month later, Aldo Rodriguez, frontman for Los Aldeanos, was detained for illegal possession of a computer. Contractors also paid $15,000 to help pay for a music and arts festival staged by the family of nueva trova singer Pablo Milanes, however the Cuban government caught whiff of the project and government officials warned Milanes' daughter, Suylen Milanes that she was associating with "unsavory individuals." The Cuban government took over an independent music festival after Los Aldeanos performed, and used the bully pulpit opportunity to castigate the Castro administration. Ultimately, Los Aldeanos were forced to leave Cuba to take up residence in southern Florida, saying the Cuban government had made it impossible to work in the island nation.